The TBC Worship Choir presents "The Story of Grace", a powerful portrayal of the life, death, and resurrection of Jesus through music and drama. The Worship Choir exists to proclaim Christ and disciple those who claim Christ, all for the glory of Christ. This group is made up of believers who are passionate about worshiping Jesus Christ and helping others worship Him as well. The Worship Choir leads congregational singing in our corporate worship services, shares messages in song in our corporate worship services, and presents special seasonal music celebrations. The Worship Choir rehearses each Wednesday, from 7:30pm - 8:45pm in the Music Suite (the room just to the left of the Worship Center). The choir is active January-May, & August-December; we give our choir a well-deserved break during the summer months. Easter Session 2019 begins Wednesday, January 16 and culminates with our Easter Worship Event on the evening of Good Friday, April 19! January 16 will be our kick-off night! 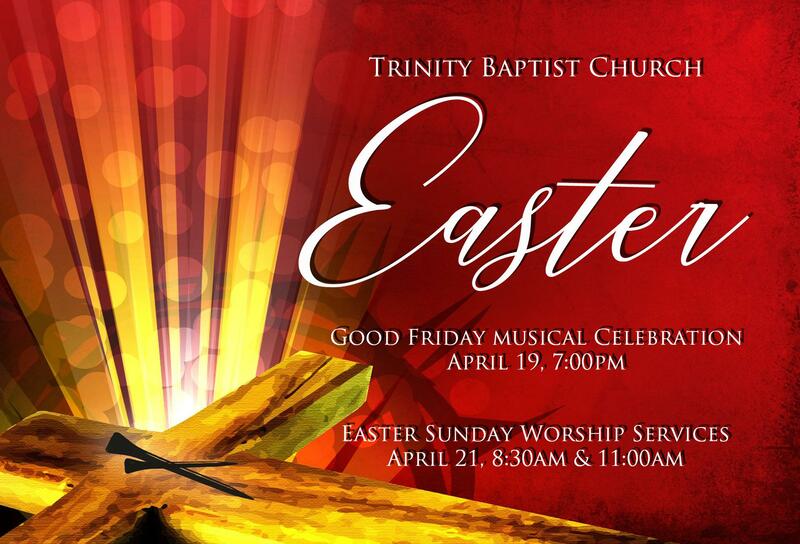 Come and preview the Easter music we will be singing and enjoy some delicious treats with friendly people! No auditions, no prior choral experience or training is necessary. How often does the Worship Choir sing in worship services? The choir swaps worship leadership duties with our Praise Team ministry; usually, the choir sings every other week in our 8:30am and 11:00am corporate worship services. When does the Worship Choir rehearse? The choir rehearses each Wednesday, from 7:30--8:45pm in the Music Suite. The choir is active January-May, and August-December; we give our choir a well-deserved break during the summer months. Is there childcare during Worship Choir rehearsals? Yes. We have fantastic childcare workers available. You will need to let the Minister of Music & Worship know that you need childcare ahead of time, so we know how many workers to schedule. Do I have to know how to read music to be part of the Worship Choir? No. Music reading is not a requirement. Just come and join in; we'll teach you everything you need to know. Do I have to audition to be a part of the Worship Choir? No. Worship Choir is the gateway program for our music ministry; auditions are not required. I'm a little nervous about walking into rehearsal for the first time by myself. Are the people friendly? YES! We have a very loving and friendly group. In fact, we love having new faces, and our people will meet and greet you, help you find the right place to sit, and help you find the right sheet music and resources you'll need to participate.